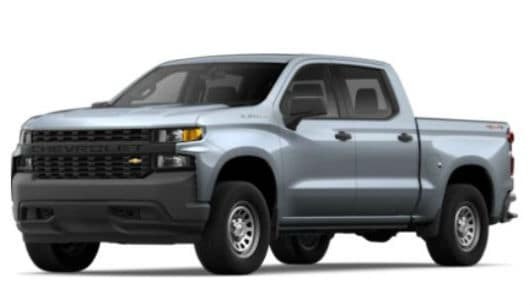 The 2019 Chevy Silverado 1500 is one of the best value and hottest pick-up trucks currently on the market for the people of Oswego, IL. It is perfect for any purpose whether you need it for your business or simply you want it as a vehicle to drive in Oswego, IL. It comes with a four wheel drive system with a 5.3L V8 Eco Tec engine built in. 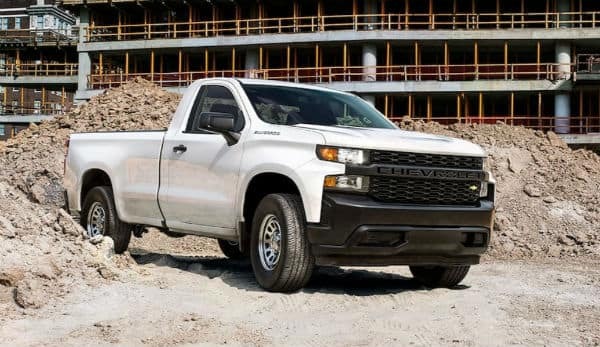 The dynamic fuel management aspect of the engine ensures that the Silverado has optimal performance when it comes to power delivery and fuel efficiency. 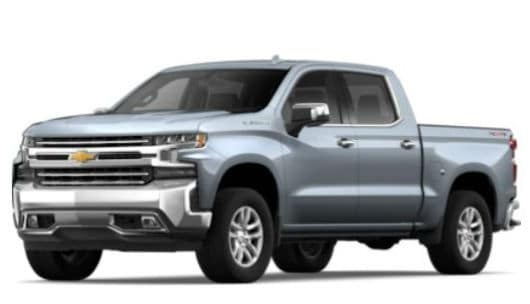 Speaking of its efficiency when it comes to fuel, the 2019 Chevy Silverado 1500, you should expect to get around 16 miles to the gallon in the city, and around 22 to the gallon if you’re on the highway. 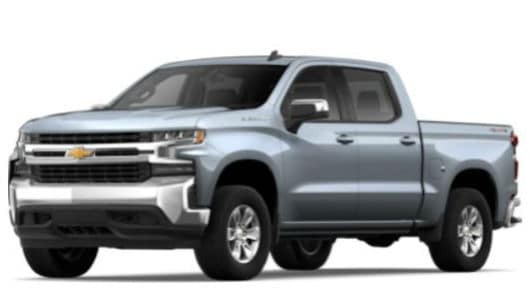 Visit Ron Westphal Chevrolet today and take your favorite 2019 Silverado 1500 to test drive on the roads of Oswego, IL. 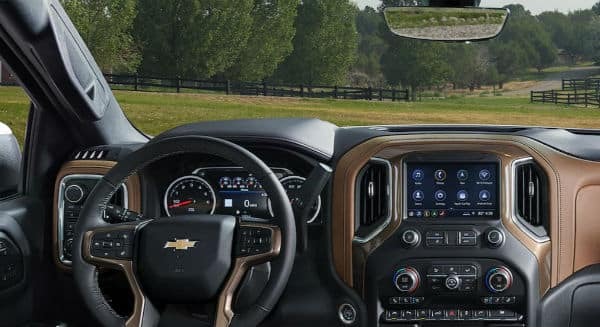 Being powerful and reliable when it comes to its practicality and performance, inside the 2019 Chevrolet Silverado 1500 is packed with the latest in technological gadgets. This includes a Chevrolet Infotainment System available through the 8 inch color touchscreen in the front of the Silverado 1500. 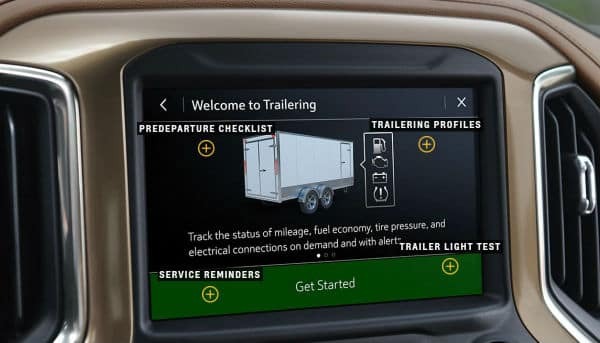 In this system you’ll get access to Bluetooth connectivity, Android Auto, Apple Car Play and voice command pass through to phone. 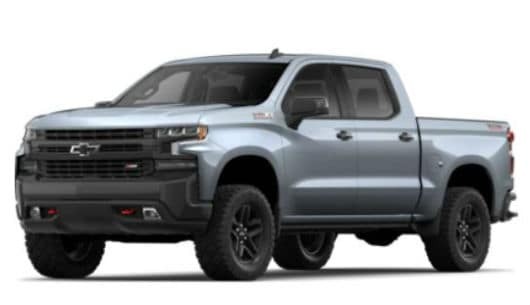 The 2019 Chevrolet Silverado 1500 is perfect for any purpose whether you need it for on-site or to tow materials. You’ll find a huge cargo space inside of 62.9 ft³ meaning it has more than enough space if you need to move some stock or materials from one place to another. When it comes to the maximum weight you can tow on a trailer this comes in at a very impressive and modest 5000lbs. 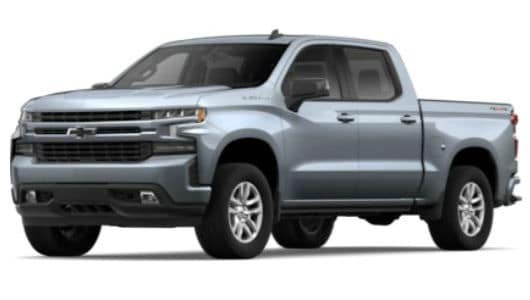 Chevrolet has made safety the most important factor when designing and manufacturing the 2019 Silverado 1500. 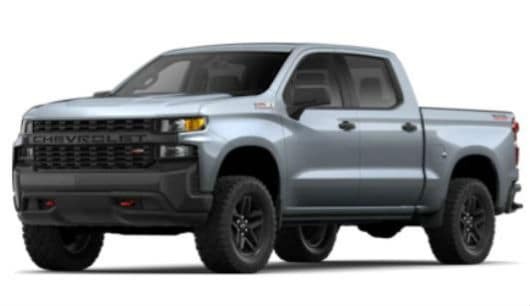 You’ll find that the Silverado 1500 comes with Stabilitrak, which is a stability control system consisting of proactive roll avoidance and traction control meaning you’re prepared to drive over any terrain and in any environment. There are dual stage frontal and side impact air bags as standard for the driver and for the front passenger. Why Buy From Ron Westphal Chevy Serving Oswego, IL? We are the top choice for the people of Oswego, IL, when it comes to purchasing a 2019 Chevrolet Silverado 1500, for a number of reasons. Firstly our staff are experienced and friendly ensuring you always have the best experience and leave satisfied when leaving our showroom. Our trained mechanics in our in-house service center also offer a host of skills and experience in order to get you on the road in no time. We believe this along with the lowest prices on the market for the car you want which means you should go nowhere else. 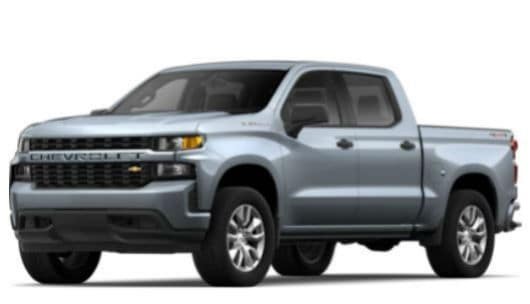 We understand that money can sometimes be an issue that’s why we offer both lease deals and finance options on all of our new cars including the 2019 Chevy Silverado 1500. Last but not least you’ll get a range of warranties as standard meaning you’re comprehensively protected should something go wrong with the vehicle for any reason. 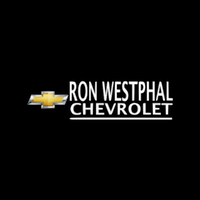 You are most welcome to visit Ron Westphal Chevy serving Oswego, IL. Before you reach us, you can schedule your test drive online to avoid any inconvenience.